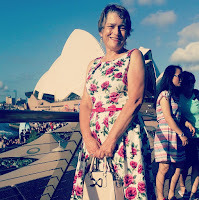 I have been passionate about open access and open access education for many years, and have been committed to sharing my content using creative commons licenses; allowing people to download and re-use, for over 10 years. 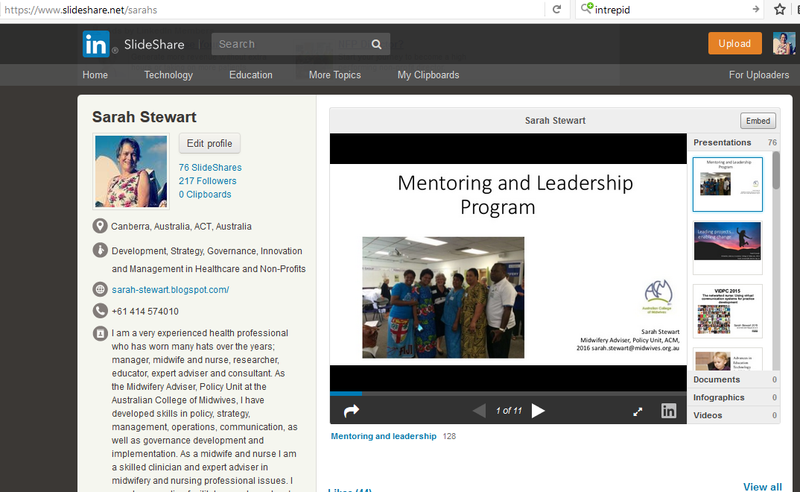 So I have decided it is timely to review the responses to my online content, using Slideshare as my case study. What presentations are most popular? The 10 top presentations with the most views can be found in Table 1. These statistics are based on the Slideshare analytics on April 16th 2017. However, the number of views isn't necessary helpful because you would expect the longer a presentation has been published, the more views it would receive. 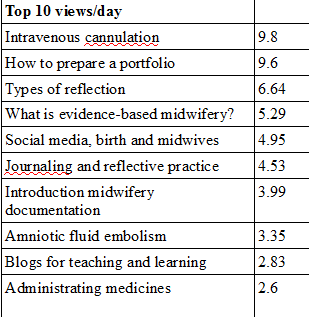 So to get a better sense of what presentations are more popular, I divided the views of each presentation by the number of days it had been published to find out how many views a day each presentation had received, in Table 2. Which presentation is most useful? Views are one thing, but what I am really interested in is how useful my presentations are to the wider community. 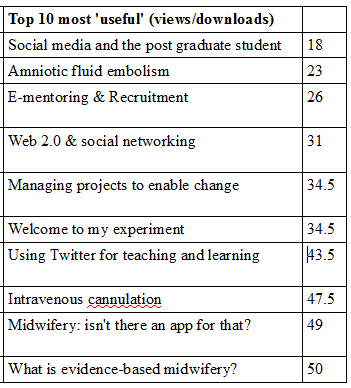 To measure that, I have looked at the total number of downloads of each presentation – my 10 top download loads can be seen in Table 3. As with the total number of views, the total number of downloads is skewed by the number of days each presentation has been published. Therefore, I looked at the number of views of per download, with the theory that the smaller the number of views per download, the more "useful" a presentation is. In my mind, a presentation that has 1000 views with 10 downloads is more “useful” than a presentation with 10,000 views and only one download. The theme starting to emerge here is reflective practice and midwifery. This surprises me on the one hand because I would have thought that people, especially midwifery students, would be able to access information about reflective practice from textbooks and course materials. 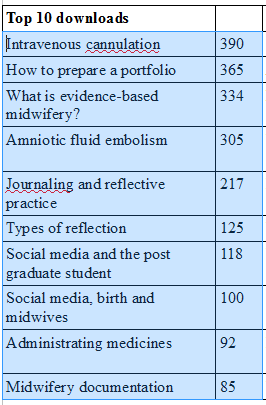 On the other hand, reflective practice is a core principle of midwifery education, so I am making an assumption (but have no proof) that a lot of people accessing these presentations are midwifery students or involved in education. To be honest, I cannot conclude anything much from this exercise because of the small numbers. 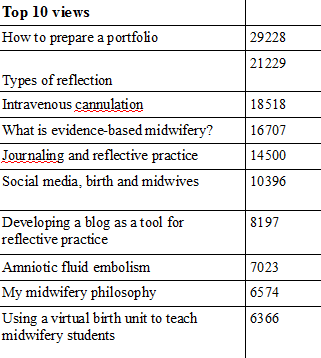 However, it is interesting that my most popular presentations have a midwifery focus, as opposed to a more general teaching and learning. Does the number of views make a presentation more popular, or number of downloads? Who are the people downloading my presentations? Why do people download presentations?What happens to the presentations? Should I endeavour to meet the apparent needs of the audience based on statistical analytics eg if it appears that clinical topics are most viewed and downloaded, should I deliberately publish presentations that address those topics, as opposed to the approach I have taken thus far which is to just publish presentation I give at conferences, tutorials, lectures etc. How does open education/access theory stack up 10 years or more down the line, when looking back at the reality of open content? The next activity I plan is to drill down more into the analytics of the downloads to find out what, if anything, that tells me. Depending on the quality of information I find via Slideshare, one idea worth exploring may be to contact the people who downloaded my presentations with a short survey to find out more about the whys and wherefores. Do you have a Slideshare account? What are your most popular or most viewed presentations? Is there any other information I should look at to inform my research? Have you ever downloaded one of my presentations? Why, and what did you do with it?